If the overwhelmingly popular response to our post about 21 employee engagement activities that work is any indication, business leaders really care about getting their employees more emotionally invested in their organizations. This is underscored by the increasing number of employee engagement software solutions on the market. Engagement is crucial and businesses are willing to invest in programs and tools to support it. We’ve seen two distinct approaches to engagement related technology and thought it would be worth the time to explore them. There are a number of solutions on the market that are designed to measure employee satisfaction and engagement. 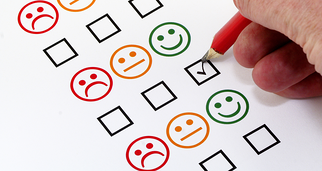 In general, this is done through periodic surveys and feedback mechanisms. They ask questions like, “Do you love your job?” and, “How was your week?” While we are certain that managers have gained some insights from the collective feedback of employees and there’s nothing wrong with a satisfaction survey once in a while, we think this approach has three big problems. I can easily tell you how satisfied and engaged I was last week, but that’s really water under the bridge. What really matters is my manager’s ability to get me excited about how I can contribute to the company next week. Much like the employee suggestion box, employee engagement software that measures satisfaction and collects feedback, but doesn’t complete the loop, can have precisely the opposite result. The solution may alert leaders to an engagement problem, but that only increases the pressure to act. This is the fatal flaw of the measure and react approach. 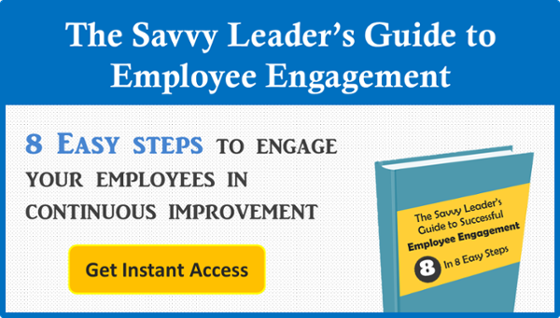 Managers don’t need higher engagement scores; they need more actual engagement. After all, the issue isn’t what people say, it is what they do. If you are going to invest in employee engagement technology, why not choose and approach that is designed to produce, not just monitor, engagement? We believe there’s a better way that encourages, supports and objectively quantifies engagement. We see employee engagement software as a platform to support the identification and resolution of opportunities for improvement within an organization. Your front line employees are the people who face your company’s most vexing challenges every day. Employee engagement should be centered around solving those problems and making the organization better for your staff, customers and investors. With this approach, engagement is not measured with subjective questions, it is measured by the number and success of actives driving positive change.